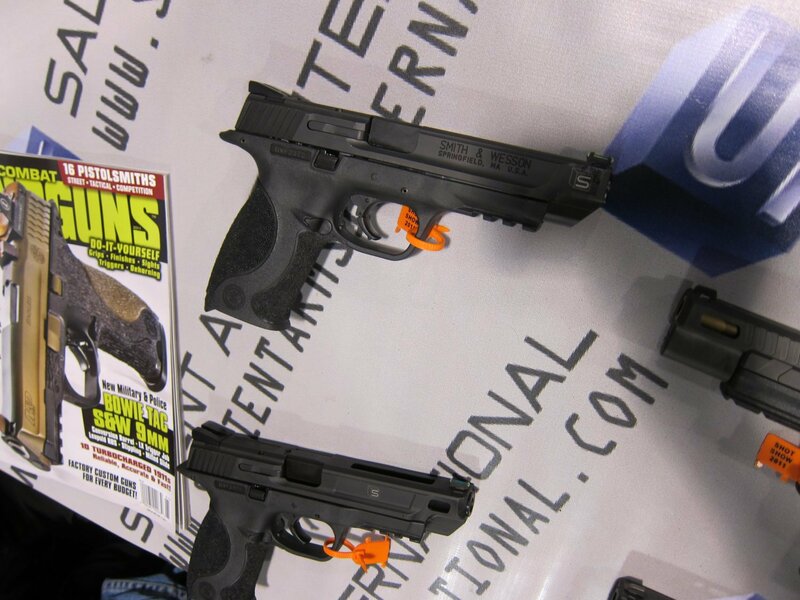 Salient Arms International (SAI) Custom Pistols, Rifles, and Shotguns for Competition and Carry Displayed at SHOT Show 2011 | DefenseReview.com (DR): An online tactical technology and military defense technology magazine with particular focus on the latest and greatest tactical firearms news (tactical gun news), tactical gear news and tactical shooting news. 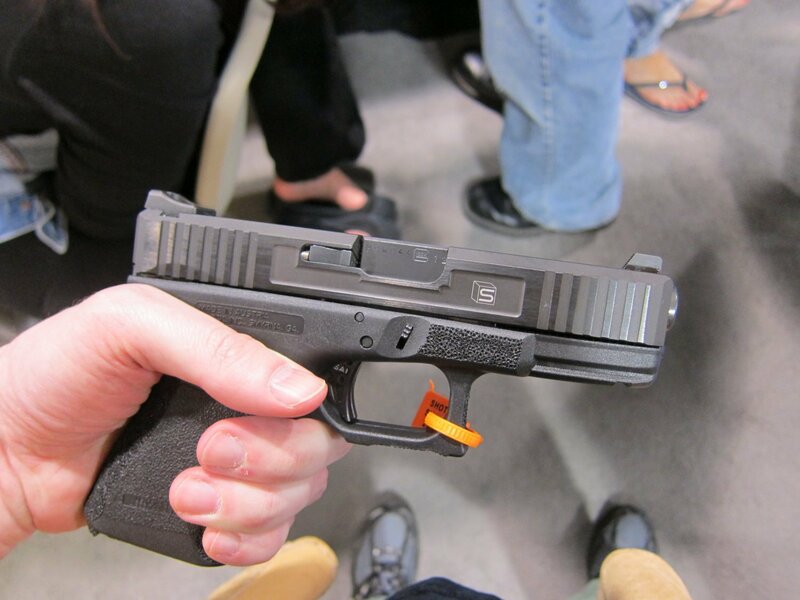 DefenseReview (DR) stopped by the Salient Arms International (SAI) booth at SHOT Show 2011 to check out the custom pistols, rifles, and shotguns that they’re building for competitive and tactical shooters, and we came away impressed with what we saw and handled. Every modification the SAI gunsmiths perform on the weapons has a purpose, the primary ones being improving ergonomics/usernomics, accuracy, and reliability. Salient’s custom pistols primarily consist of custom Glock, 1911, and Smith & Wesson (S&W) M&P pistols that are modified/customized specifically to maximize their performance in competition and for tactical deployment, including concealed carry (CCW). The most visible modifications on the pistols are lightening cuts on the slides and custom stippling on the grip frames. 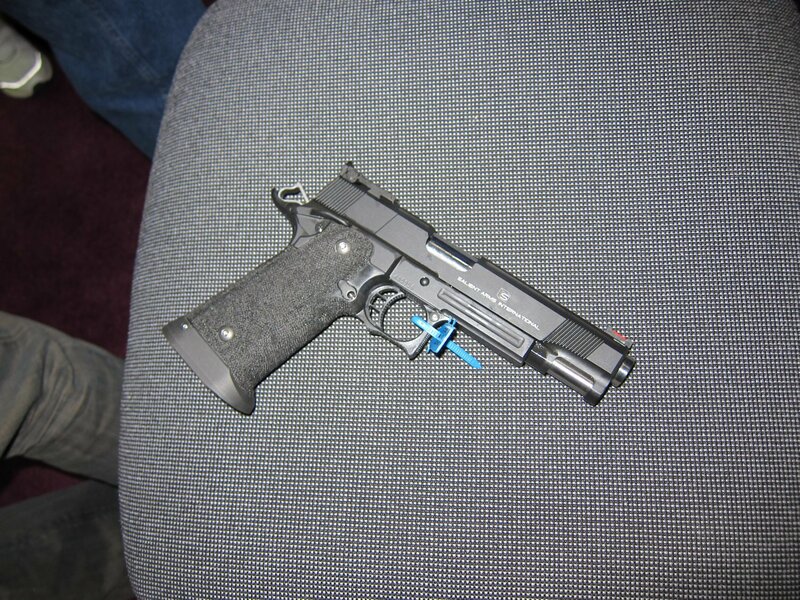 SAI obviously also performs custom trigger jobs to lighten the trigger pull on the competition guns. Defense Review already knew that Salient was doing custom work on Glock and 1911 pistols, but we were pleasantly surprised to discover that they’re also now customizing S&W M&P pistols, especially since one of DR’s contributors, Jeff Gurwitch, is a big M&P pistol proponent, now preferring it over the Glock. 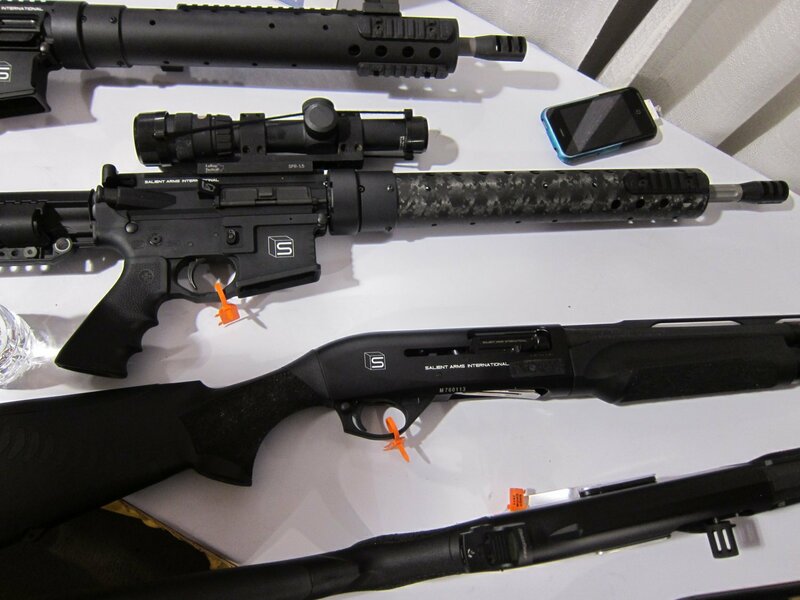 SAI’s custom ARs (AR-15 rifles/carbines) and Benelli M2 Super 90 combat shotguns also looked pretty slick, with the most visible M2 shotgun mods involving the bolt carrier. It’s our understanding that the Salient team essentially converts the Benelli M2 to where it operates like a Benelli M1 Super 90, allowing the shooter/operator to load an extra round underneath the bolt carrier. They also polish and smoothen the weapon’s action. No doubt, whatever custom modifications SAI makes to the weapons are specifically geared to assist both competition and tactical professionals, including champion 3-Gun shooter Taran Butler, who’s both a principal of the company and a user of its products. Taran being an SAI principal and user speaks to the quality of their products, and gives Defense Review a great deal of confidence them. Our confidence in the Salient weapons was further enhanced when we got a chance to run them at the range with Taran after shot show. We ran a Salient custom Glock 17 (G17), AR carbine (AR-15 carbine), and Benelli M2 Super 90 shotgun during a short course that Taran put on, and all the weapons ran great. All the weapons were set up specifically for Taran, so the triggers and actions on them were really good. We’d recommend that our readers check out Salient Arms International (SAI) custom firearms at the SAI website, and at Velocity Shooter, SAI’s distributor. We also recommend that you watch for Taran Taran on the show 3-Gun Nation on the Versus network. Not only is Taran a truly great competitive shooter, he’s also a highly entertaining character. 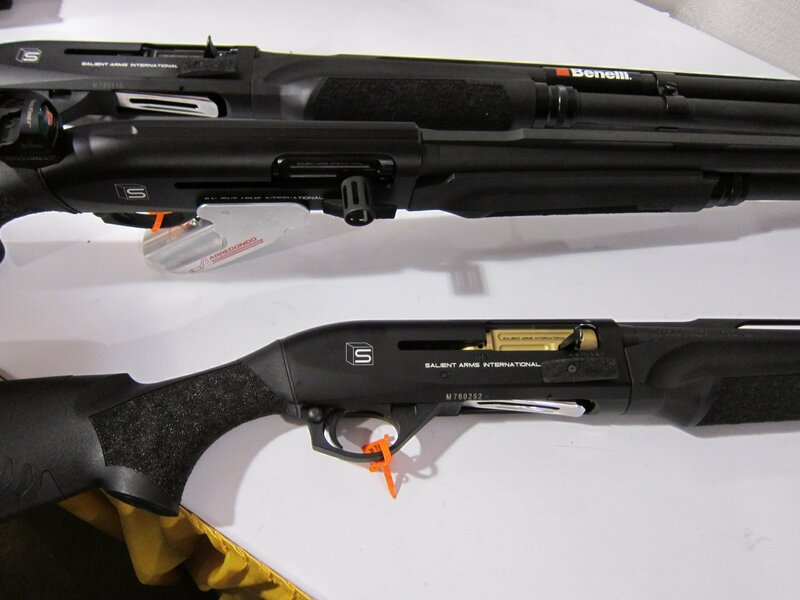 Not coincidentally, the 3-Gun Nation website has an article on the Salient Arms International custom Benelli M2 Super 90 shotgun that’s worth reading. Next: Leader 50 BMG Revolutionary Ultra-Compact and Lightweight Semi-Auto Bullpup .50 BMG (12.7x99mm NATO) Anti-Materiel/Sniper Rifle for Military Special Operations Forces (SOF) and Civilian Tactical Shooters: Coming Soon to a Theater of Operations and Shooting Range Near You?